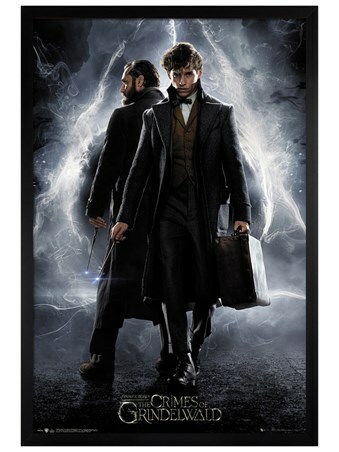 Join Newt Scamander in his troublesome activities with this spell-binding canvas print from 2016 film, Fantastic Beasts And Where To Find Them. 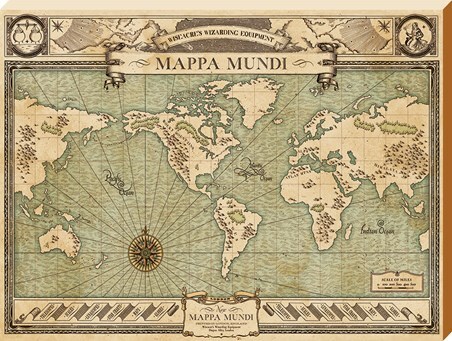 The medieval Mappa Mundi can be found down the infamous Diagon Alley and is property of the Wiseacre's Wizarding Equipment, but also kept in Newt's magical suitcase. 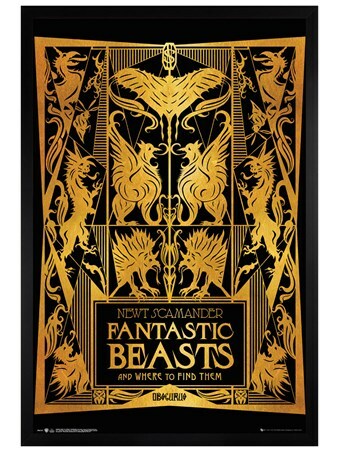 Set on a vintage green background, the design features the Himalayas and Rocky Mountains, as well as the Pacific, Indian and Atlantic Oceans. 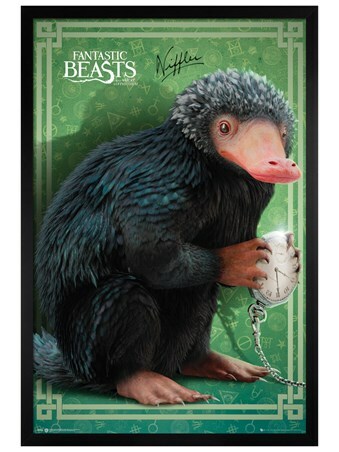 So if you're looking to bring that extra magical touch to your home, this will make the perfect addition for all wannabe witches and wizards. 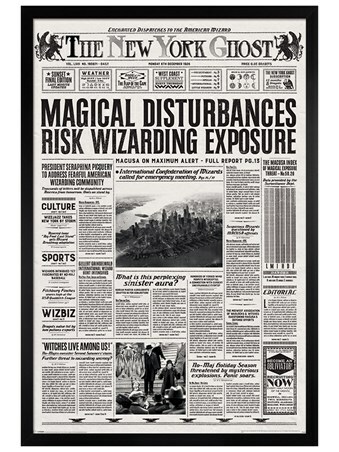 High quality, framed Mappa Mundi, Fantastic Beasts large canvas print with a bespoke frame by our custom framing service.